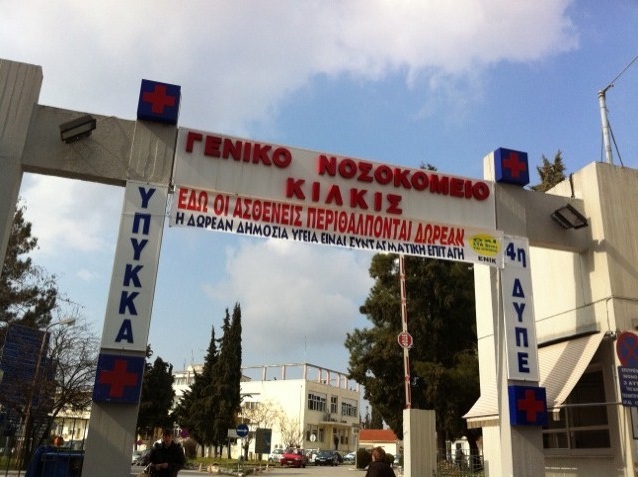 TheÂ general hospitalÂ of Kilkis in Greece is nowÂ under workers control. The workers at the hospital have declared that the long-lasting problems of the National Health System (ESY) cannot be resolved. The workers have responded to the regimeâ€™s acceleration of fascism by occupying the hospital and outing it under direct and complete control by the workers. All decisions will be made by a â€˜workers general assemblyâ€™. 1. We recognize that the current and enduring problems of Î•.Î£.Î¥ (the national health system) and related organizations cannot be solved with specific and isolated demands or demands serving our special interests, since these problems are a product of a more general anti-popular governmental policy and of the bold global neoliberalism. 5. The workers at the General Hospital of Kilkis answer to this totalitarianism with democracy. We occupy the public hospital and put it under our direct and absolute control. The Î“.N. of Kilkis will henceforth be self-governed and the only legitimate means of administrative decision making will be the General Assembly of its workers. (d) a deep and substantial democratization, that is, one that will have society, rather than a third party, responsible for making decisions for its own future. 7. The labour union of the Î“.N. of Kilkis will begin, from 6 February, the retention of work, serving only emergency incidents in our hospital until the complete payment for the hours worked, and the rise of our income to the levels it was before the arrival of the troika (EU-ECB-IMF). Meanwhile, knowing fully well what our social mission and moral obligations are, we will protect the health of the citizens that come to the hospital by providing free healthcare to those in need, accommodating and calling the government to finally accept its responsibilities, overcoming even in the last minute its immoderate social ruthlessness.